Food has often been an important part of warfare. What is less known is how food developed for warfare changed people’s lives after the war. The most important development happened after World War II, though the canning process has been around for a long time. Canned food started by using tin cans to preserve various items in the early 19th century. 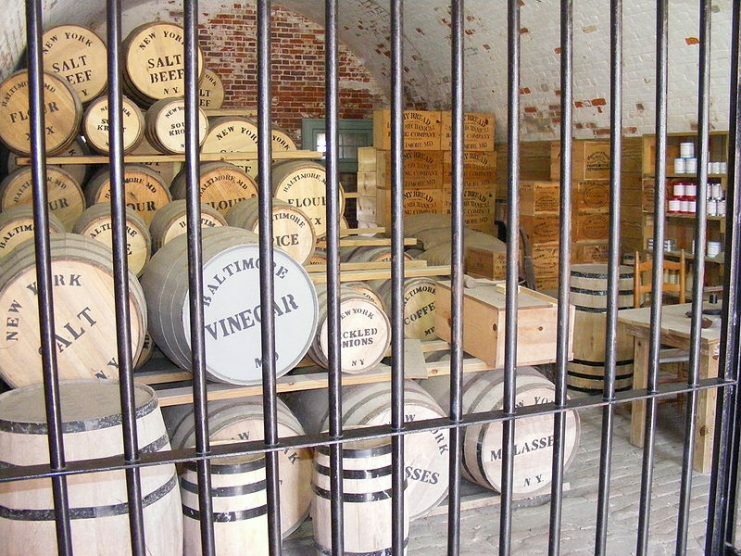 British sailors and explorers found that canned food was a relatively easy way to supplement their rations. For example, the Arctic explorer William Parry took canned beef and pea soup on his voyage. By the middle of the 19th century many of the middle class in Europe bought canned food as novelty items. The American Civil War, Crimean War, and Franco Prussian War introduced hundreds of thousands of soldiers to the novelty and enjoyment of canned foods, which expanded their consumption even more. Yet at this time they still remained relatively fringe items used by explorers and militaries. 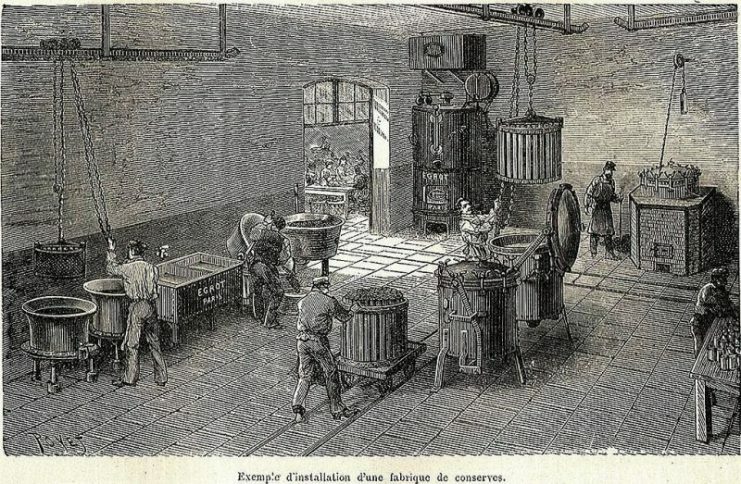 How canned food was made, picture from Albert Seigneurie’s Grocery Encyclopedia (1898). Retorts can be seen. It was the millions of men fighting in World War I and II that created an explosion in demand for canned food. The American government in particular faced problems connected to supplying troops in multiple theaters of combat around the world. They had to supply and feed millions of men with items that transported safely, survived trench conditions, and didn’t spoil in transport. Canned foods thus became a pivotal part of the wartime experience. 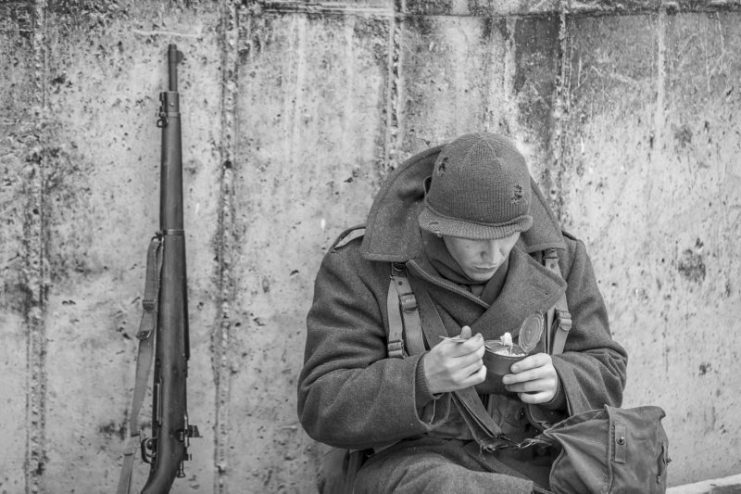 The C rations in particular were pre-made meals that could be eaten either warm or cold, so they often became the main staple of the war weary troops. 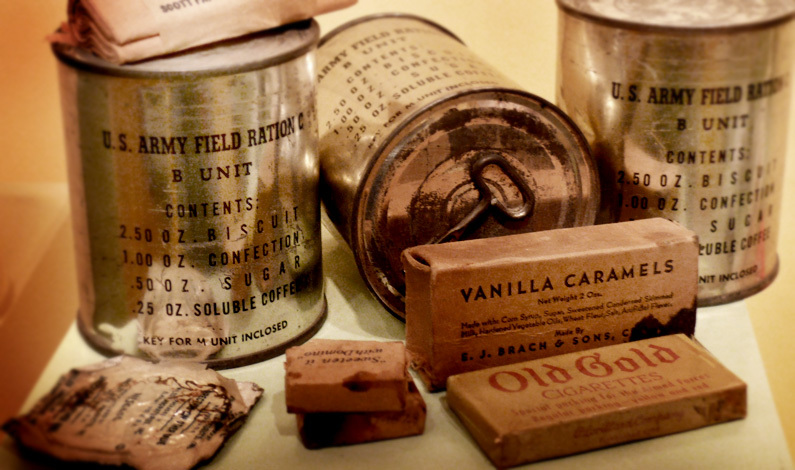 A 1941 C Ration B unit, with contents: 3 biscuits, cellophane wrapped chocolate fudge, 3 pressed sugar cubes, and a small tin of soluble (instant) coffee. Sometimes got lucky in being able to supplement their canned rations with local foods, and in World War II the rations of Allied servicemen often included M&Ms and Coca-Cola. 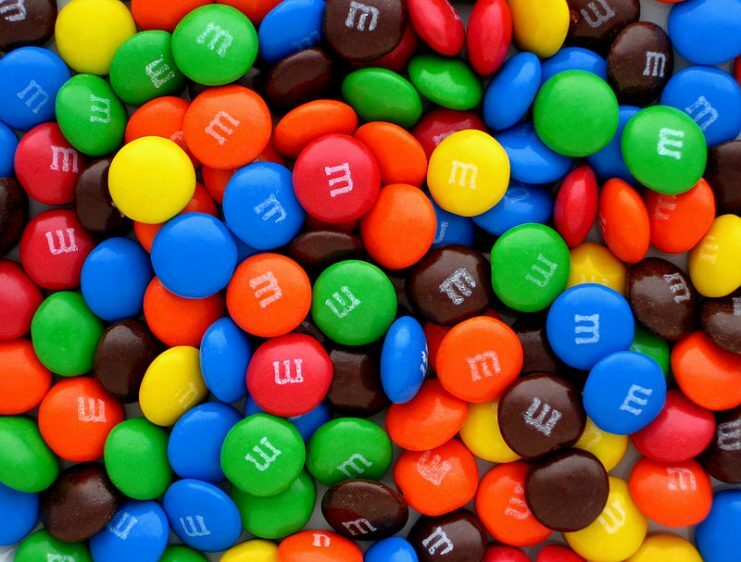 The M&M candies were particularly liked because their hard outer shell prevented the chocolate interior from melting during transport to hot and humid locations in southeast Asia. 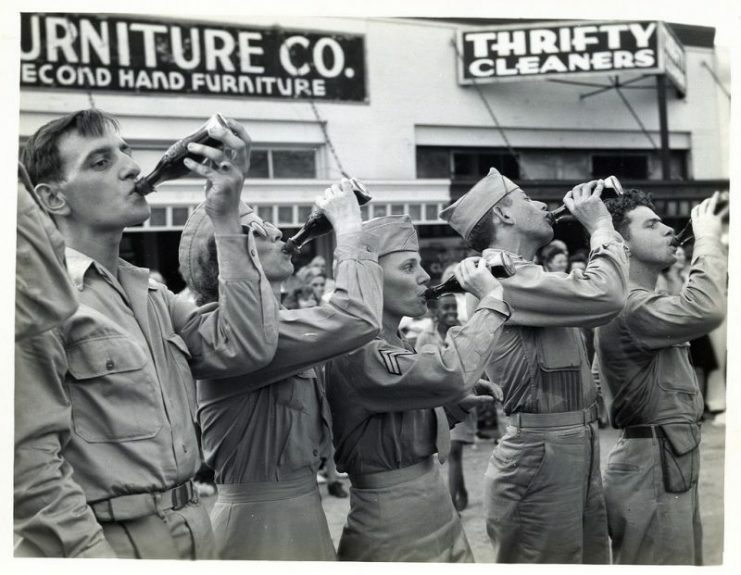 “Coke” became the preferred drink of the troops due to a marketing campaign in the States: any American in uniform could buy a Coke for a nickel regardless of its listed price. 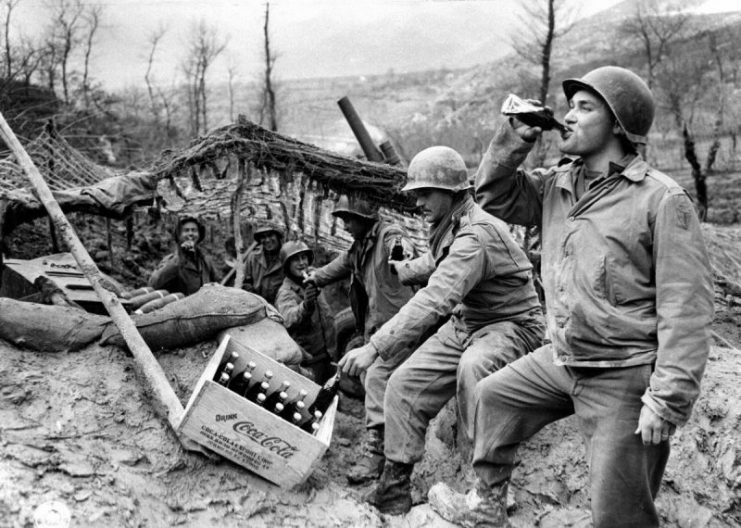 But there were few sources of the drink for Americans serving in Europe, Africa, and Asia. A pile of plain M&M’s candies. Accordingly, General Eisenhower requested 3 million bottles of Coke be shipped to his current location in North Africa, along with the equipment and supplies to refill them as needed so they could maintain a permanent supply of Coke. Coca-Cola did one better and sent 148 personnel to install and manage the overseas bottling plants. The specialists were given uniforms and a rank of “technical adviser.” They were often called “Cola Colonels” by the soldiers, and they were often treated very well because they were a great boost to morale. G.I.’s drinking some “room temperature” Coke Cola. Both Coca-Cola and canned goods remained popular after the war. Coke products inspired a worldwide thirst, and the canned food companies sold their surplus goods on the civilian market. They also developed a marketing campaign to relate the convenience of canned foods to the demands of busy modern life. 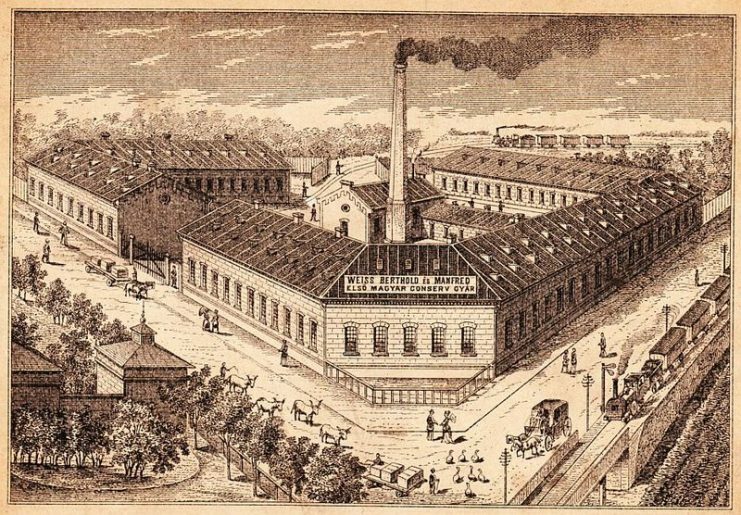 Mass production of instant meals in factories extensively lowered their cost and expanded their use across the lower and middle classes. 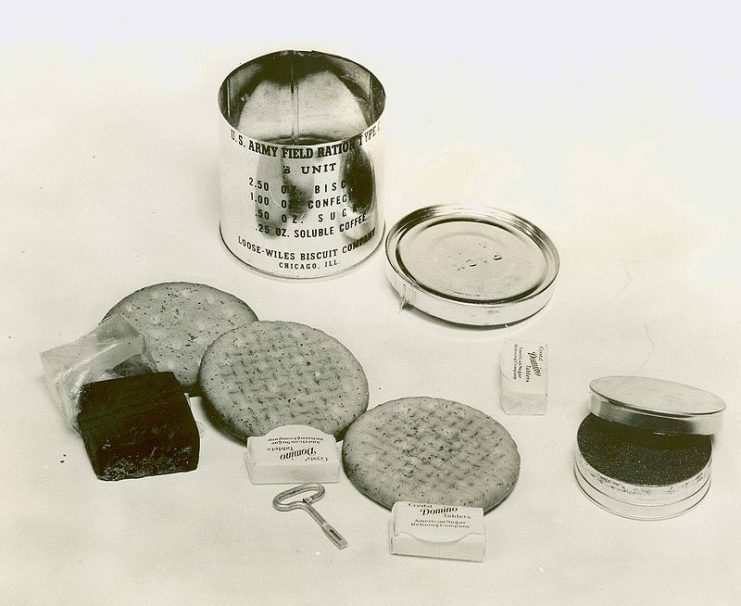 Some of these items included powdered cheeses, instant drinks, and cured meats, which were all developed during World War II but later became staples in the civilian world. These developments in turn changed the palate of the American consumer. So the next time you don’t feel like cooking and open up a can of soup, or grab some M&Ms and wash them down with a Coke, you’ll appreciate the fascinating history of how your tastes for such foods resulted from developments during wars, and how some of those foods were first experienced by soldiers that were often thousands of miles away.